What else can you do for free with your photographs? Changing the EXIF information? Watermark them? Re-size? Even cut them into little pieces … it’s all here. Is this one a bit of a cheat? 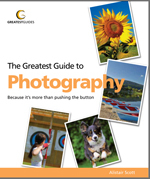 Whenever you press the shutter button of your digital camera you take a lot more than a photograph. The camera also records masses of extra information … the shutter speed, the aperture, the ISO and white balance settings, whether you used the flash or not, the date and time … and a whole barrow-load of additional stuff. More than you could shake a stick at. This is called the EXIF information and most image editing programs will show it to you (if you know how to find it). It’s pretty well fixed with the image, unless you use this program to change it. The only reason I can think of is to cheat. Let’s say you want to enter a competition, but one of the rules is that the photograph must have been taken this year. You have a brilliant photograph, a sure-fire winner, but it was taken last year. The judges can tell that from the EXIF information … unless you change it with this program. But you wouldn’t do that … would you? Have you ever received a full-sized image by e-mail? You know the sort of thing – an e-mail that takes forever to download and, when you finally get it, all you can see is a tiny portion of the top left. If you are going to e-mail your photographs, make them smaller (1000 pixels the long side is about the maximum size I’d recommend). The same applies if you are planning to put them on a web site, though the sizes will be different. That will depend on the layout of your website. Most image editing programs have a facility to resize images. But if your doesn’t, or you want a stand-alone program, the Faststone Photo Resizer works well. WARNING – Don’t use this program to make images larger. The results will be terrible. For successful upsizing you need a sophisticated program that carries out a process called ‘interpolation’. You can upsize successfully with Photoshop, but I don’t know of any freeware programs that will do this. Another reputedly good image re-sizer is VSO Image resizer. (For PC), though I have not used myself so can’t give any personal recommendation. One of the headaches of putting your photographs up on the web is that they may be stolen. Any image that appears on a computer screen can be pinched and saved to someone else’s hard drive. One way round this is to put a transparent watermark across the image – your name for example, or a copyright notice. This can be done with many image-editing programs, but it can be a bit of a fiddle. TSR Watermark software enables you to do this simply. Note: Whatever photographs you put up on the web, watermarked or not, alwas make sure they are a reduced size and low-resolution. Watermarking is not an infallible way of preventing piracy. But thieves cannot do very much with reduced-size, low-resolution images. I have not used this program as I’m not into making slide shows, but it features in the March 2010 issue of the UK magazine Practical Photography, and they recommend it. This is just the program for you if, for some reason, you should want to cut your photographs up into little bits. I don’t want to, and never have done, so I can’t vouch for this program. If you know more … either why anyone should want to cut up a photograph, or how well this program works … let me know.